Superior craftsmanship and exquisite design make this designer men's gold wedding ring unforgettable. Offering a classic polished dome profile, this 14K yellow gold ring is finished with intricate milgrain edges. 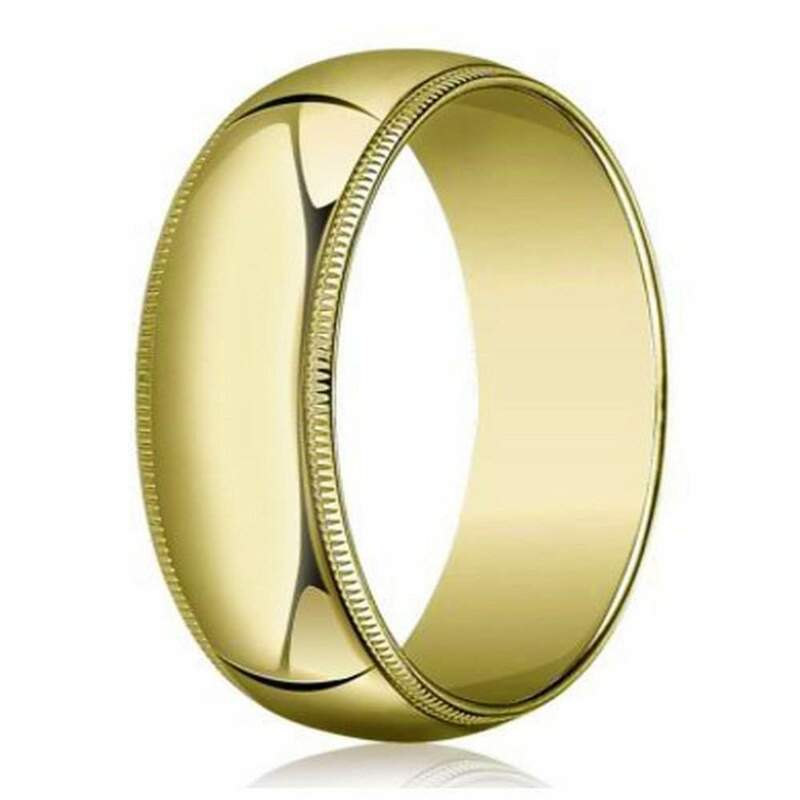 This 7mm traditional fit men's gold wedding band pairs an elegant look with affordability.